How Does the New Play King Charles III Mirror Reality? Mike Bartlett’s modern history play King Charles III tackles the relationship between power and the press and how media coverage during regime change can affect those who rule just as much as those who are ruled. The play’s themes are both timely and timeless, speculating on the “future history” of the British Royal Family through Shakespeare’s blank verse. Shakespeare Theatre Company and D.C.’s Newseum host a discussion of the bold premise of Bartlett’s play, its significance in the current political climate and theatre’s place among media covering regime change. Shakespeare Theatre Company’s Dramaturg and Literary Manager Drew Lichtenberg joins King Charles III Director David Muse for this panel on media, power and writing history. 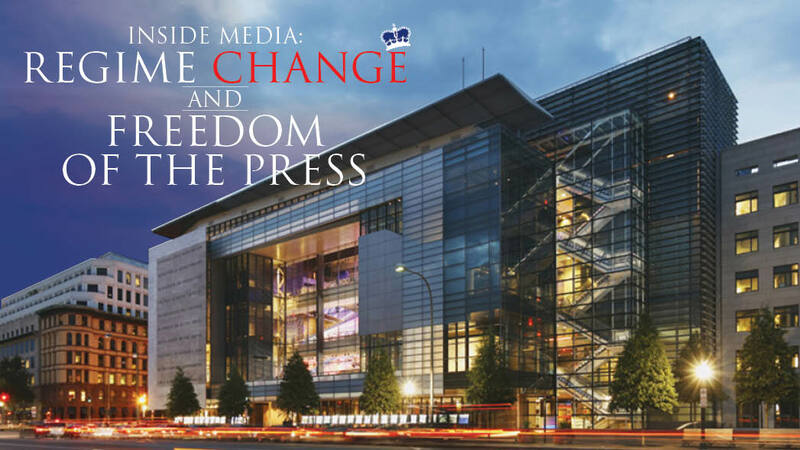 The Newseum, headquartered in Washington, D.C., promotes, explains and defends free expression and the five freedoms of the First Amendment: religion, speech, press, assembly and petition. Considered one of the most interactive museums in the world, the Newseum experience also traces the evolution of electronic communication from the birth of radio, to the technologies of the present and the future. The Newseum and the Newseum Institute regularly host compelling programs that seek to generate solutions to some of the most pressing national and international challenges of the day. By embracing its role as a neutral forum committed to fostering open, nuanced discussions, the Newseum and the Newseum Institute engage in the central debates of our time, including the future of investigative journalism, the tensions between national security and privacy, and the role of religious freedom.